Beginning the first week of February 2018, GO Fresno will be piloting a School Transformer Fellowship to bring together dedicated educators and community allies from across Fresno to explore how we might transform schools to better meet the needs of all of our students. While the fellowship is designed with educators in mind, anyone in Fresno who believes in transformational change in our schools is welcome to join! 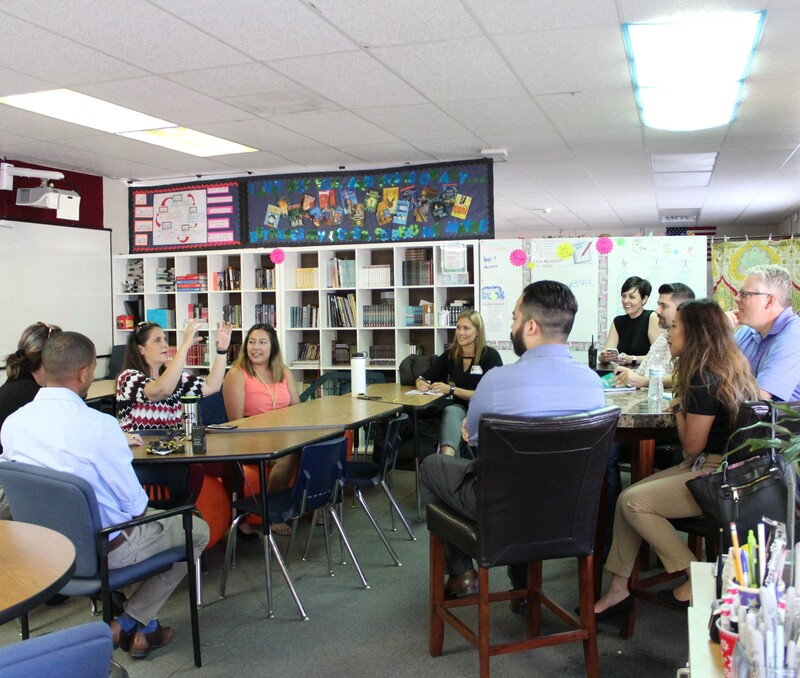 The School Transformer Fellowship is a unique learning experience that allows dedicated educators to step back from the day-to-day and think deeply about what our ideal education system would look like. We believe that starting a conversation about transformative change is the only way to get there and our School Transformers will be at the forefront of that conversation in Fresno. We encourage you to apply if you believe in building schools that truly prepare every child. There is often little opportunity to think deeply and intelligently about transformational, as opposed to incremental, change. We hope GO School Transformers will change that and start a much-needed conversation in Fresno! Download School Transformer Fellowship information here. Join our mailing list below to receive important updates and application information.